This Simi Valley area Hispanic grocery store with beer and wine has served its loyal customer base for nearly 20 years. The facility is clean, modern and well maintained and includes produce, grocery, full meat department and a kitchen with multiple hoods used to prepare hot meals. Additionally, the facility (which was remodeled in 2005) includes several walk-in refrigeration units, an 8-door walk-in cooler, and another 8-door refrigerator. Recent sales have averaged over $2,000,000 per year with an adjusted net income of 7%-8%. Location and Facilities: This 5,000 square foot facility leases for $5,200 per month including CAM expense on a lease set to expire February 2014 with two five-year options (lease rate is fixed through the end of the first of option in 2019). All of the business assets will transfer in the sale including the furniture, fixtures, equipment and beer and wine license. Inventory with a cost value of $50,000 will be included in the purchase price and any additional inventory will be sold in addition to the asking price at cost at close. 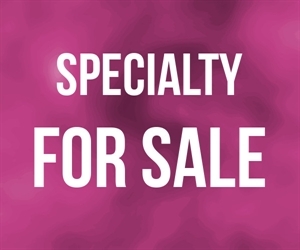 Market Information and Position: A new owner may continue to build upon the existing concept or modify it to expand specialty meat products, local organic fresh farm produce, as well as specialty wine and cheese offerings. The grocery store could add check cashing, lottery, a juice and smoothie bar, and delivery services. A modification to the Conditional Use Permit and upgrade to a full-liquor off-sale license could also significantly increase potential revenues. Competition is considered to be medium as other Hispanic grocery stores exist in the area, however this business has developed and maintained a loyal customer base in the 20 years it has operated. Competition: A full service Hispanic supermarket recently opened which may increase competition, or alternatively, create a Hispanic shopping hub in the area that could benefit the business.